A must have tool for anyone serious about SEO or internet marketing. See if your links are working or not. Easily avoid link penalties. Currently monitoring over 300 000 backlinks. We are constantly adding new features. Link-building means spreadsheets. On-line or Off-line. And that means very tedious task(s) of manually inserting tons of data about your backlinks, cell.. by.. cell. LinkOkay pulls data automatically for you! 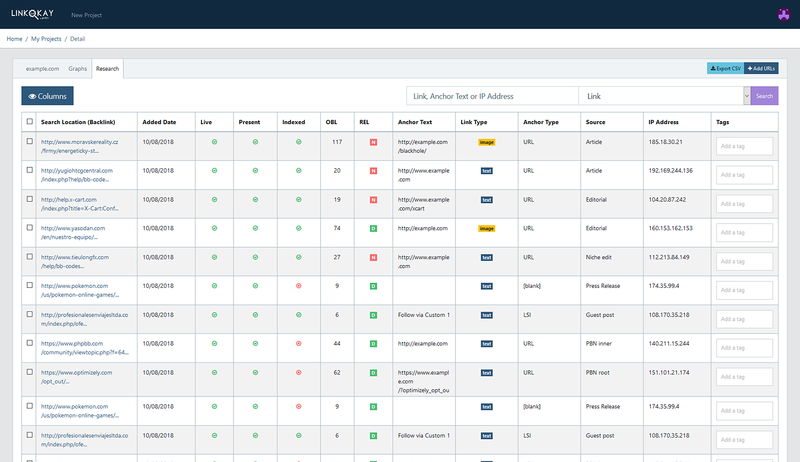 LinkOkay shows you all the important metrics of your backlinks. - Whether they are Live or not. - If they are Indexed by the search engines. - How many other outbound links are on the page. - Whether the link if follow or nofollow. The best thing? They are pulled automatically, you don't have to lift a finger. Are your links Live or have they been removed? Are they Indexed by the search engines? What about OBL on the page or follow/nofollow attribute? Change in any of these things can greatly influence your link-building efforts! With LinkOkay you'll know right away! 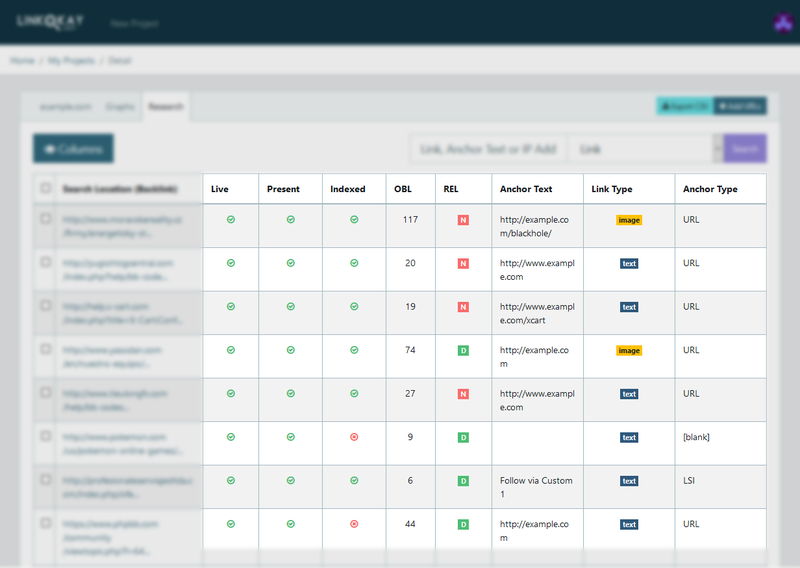 LinkOkay re-checks ALL important attributes of your backlinks every 24 hours. 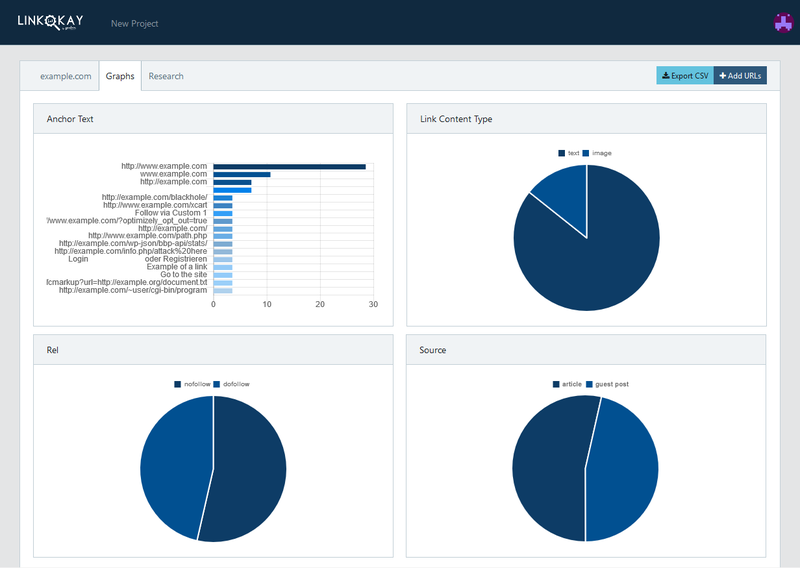 With LinkOkay you can clearly see what is going on with your link-building campaigns. Search engines release new updates of their algorithm all the time. And they don't tell us much about it. LinkOkay makes it simple to pin-point what type of link caused increase or decrease in rankings. Measure the effectiveness of your backlinks with ease. Unlike other apps on the market today, LinkOkay doesn't build any index. It only works with backlinks you feed it. This means 100% accuracy of your link-building campaign. Simple, easy to navigate and modern looking User Interface. 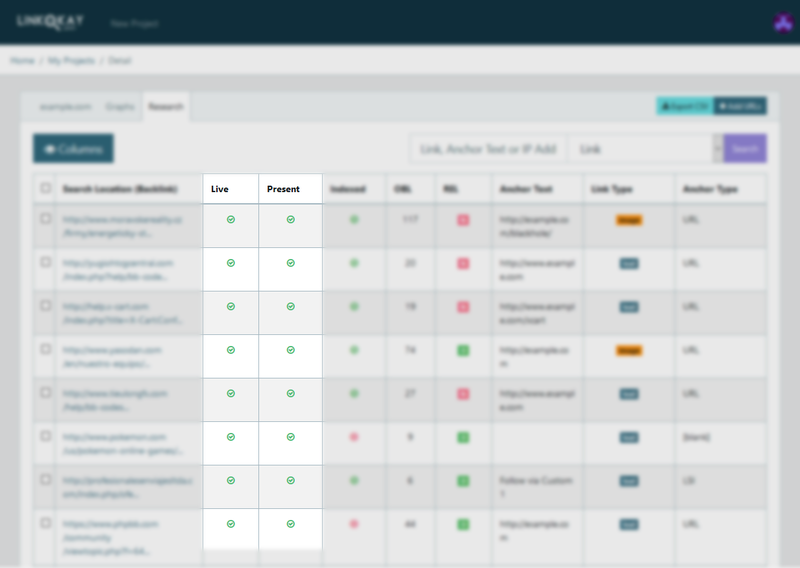 Navigate through backlinks table or quickly see overall progress of your backlinking by various graphs. Customize the user-interface to your liking. Technology behind LinkOkay is always up-to-date with latest trends. This guarantees stability and fast & smooth experience for you. LinkOkay is constantly being updated with new features either by us or based on your feedback. Join our community. Our Facebook group is full of SEO's and experienced digital marketers in general. We swiftly respond to support queries within few hours. Contact us either via Ticket or Live Chat. LinkOkay is the best link tracker out there. Other tools just scrape links of big guys via API. LinkOkay gives you full control! 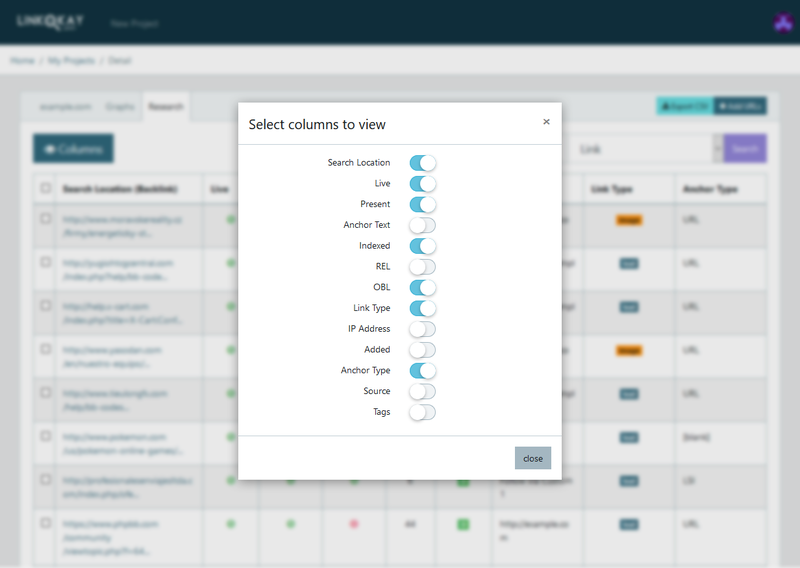 LinkOkay is intuitive & saves precious time as it helps you keep track your links in an easy to use dashboard. When I got into "SEO game" I immediately started hating linkbuilding. Especially tracking of backlinks. I wish LinkOkay was around back then. I recommend LinkOkay to any agency owner. I handle linkbuilding for a large number of clients. 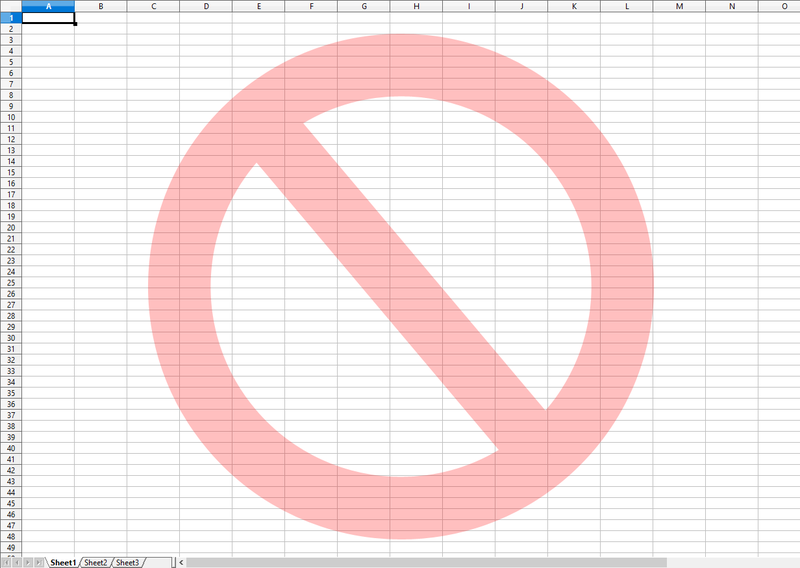 Ammount of spreadsheets was getting out of hand. After only a month of using LinkOkay I found out my "trusted" link vendors were scamming me by turning my links into nofollow after initial report! Not cool! LinkOkay is not my first backlink monitor. What I appreciate the most about it is definitelly the 24-hours re-crawl feature. With other checkers you have to wait days if not weeks! 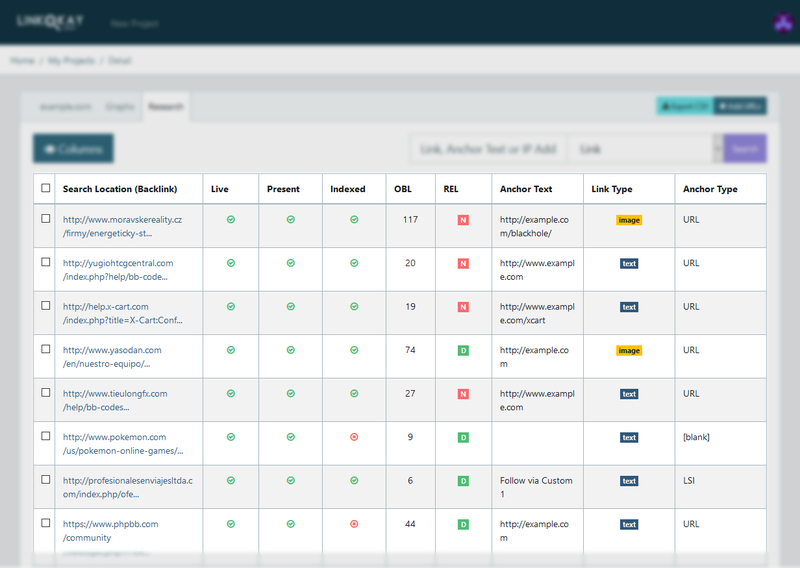 Start experiencing hands-free backlink monitoring today! * We collect payment info right away to provide smooth experience and prevent loss of your data if you decide to stay. You will not be charged during trial. You can cancel anytime.